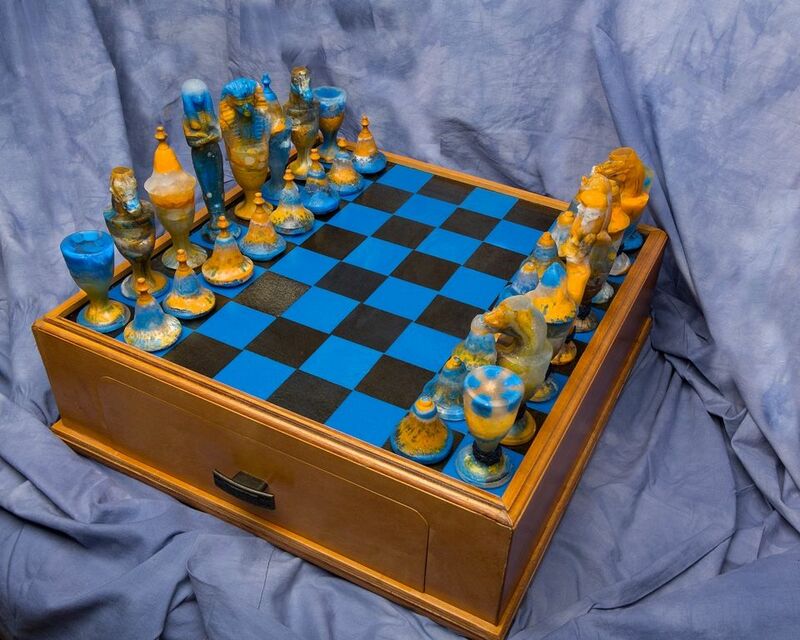 Chess Board – Fused 18" sq. board made of Bullseye™ Egyptian Blue and Gold Iridized sheet glass. The board is set into a hand crafted wood stand created by Wood Artist Lee St. Germain of Lilburn, Georgia. 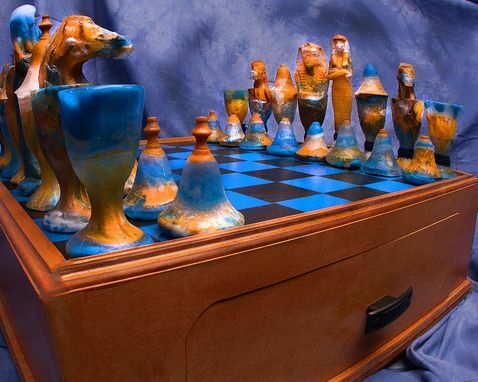 Chess Pieces – Each playing piece was created using Bullseye™ Egyptian Blue and Butterscotch glass frit in pate-de-verre kiln-cast glass and has a pad attached to the bottom for safe and easy maneuvering around the board. The Queen piece is approximately 7.5" tall.